vSphere Standard Switch is used to provide network connectivity for hosts, virtual machines and to handle VMKernel Traffic. 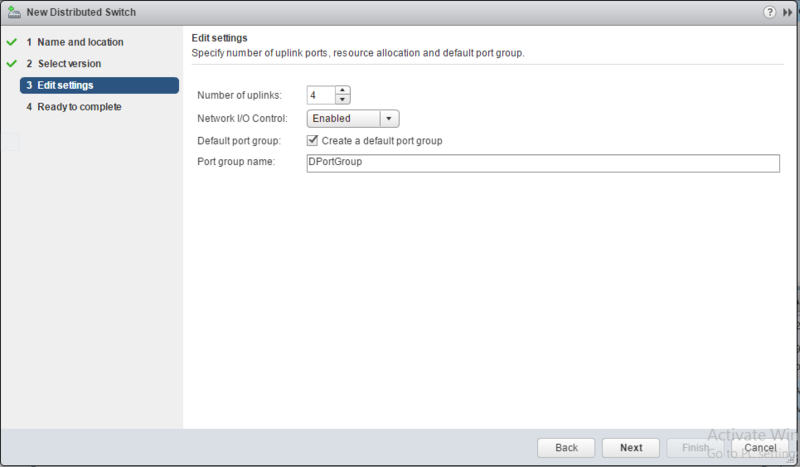 Standard switch works with only with one ESXi host. vSphere standard switch bridge traffic internally between virtual machines in VLAN. Standard switch does not require Enterprise plus licensing for usage. This is one of the real advantages for standard switch users. Standard switch is created in host level i.e. 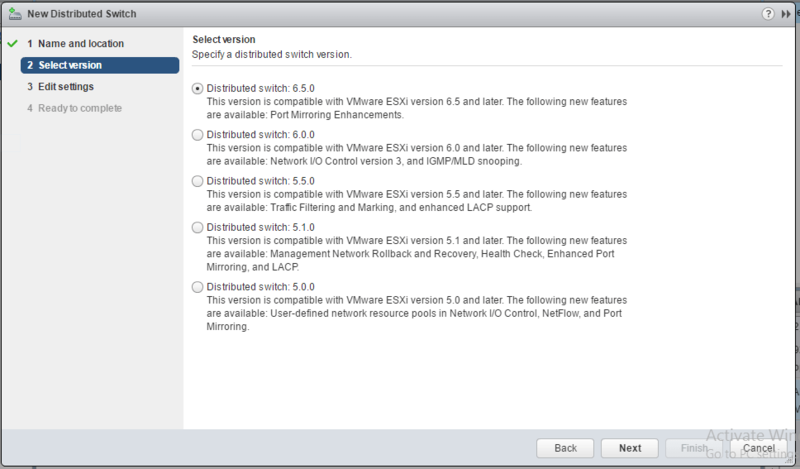 we can create and manage vSphere standard switch independently on ESXi host. Inbound traffic shaping is not available as a part in standard switch. Networking vMotion is not available in standard switch. 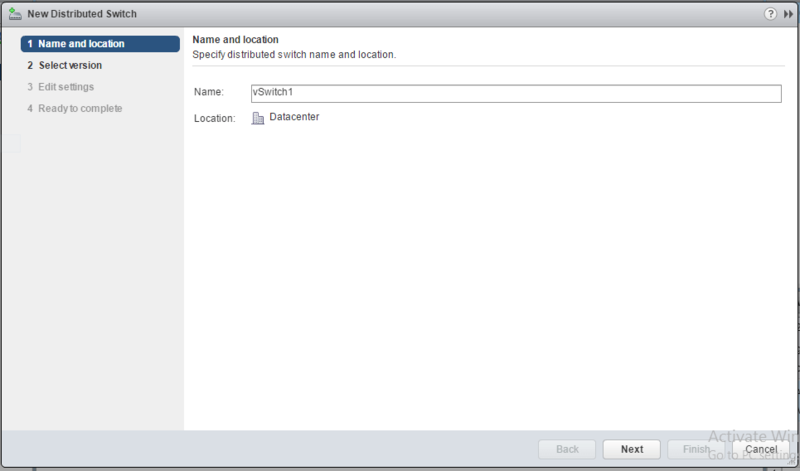 vSphere Distributed switch allows a single virtual switch to connect multiple Esxi hosts. vSphere Distributed switch on a datacenter to handle the networking configuration of multiple hosts at a time from a central place. Distributed switches allow different hosts to use the switch as they exist in same host. It Provides centralized management and monitoring of the network onfiguration of all the ESXi hosts that are associated with the dvswitch. vSphere Distributed switch given priority to traffic and allows other network streams to utilize available bandwidth. vSphere Distributed switch include rollback and recovery for patching and updating network configuration, templates to enable backup and restore for virtual networking configuration. Inbound traffic shaping is possible to apply in distributed switch only. Networking vMotion is used in Distributed switch only. Networking vMotion – Networking vMotion tracking virtual machine networking state. As a VM moves from host to host on a vNetwork Distributed Switch. It is possible to apply only in Distributed switch only. Some of the features are similar to apply both standard and distributed switch. They are listed below. 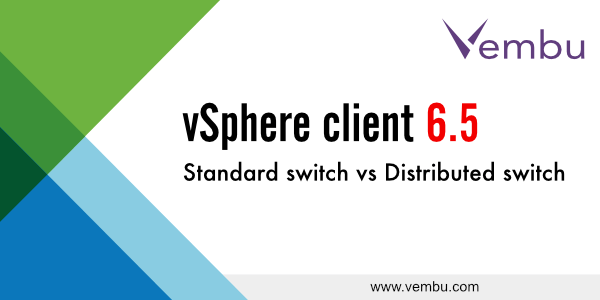 Let us see the configuration for the Standard switch and Distributed switch in vSphere client 6.5. VMKernel Network Adapter Create a new VMkernel adapter to handle host management traffic, vMotion, network storage, fault tolerance, or Virtual SAN traffic. Standard switch and Distributed switch enable advanced virtual network topology between VMs and Host. I am a system administrator in Vembu technologies for past six months. I have a lot of interest in learning and sharing new technologies in networking and virtualization.